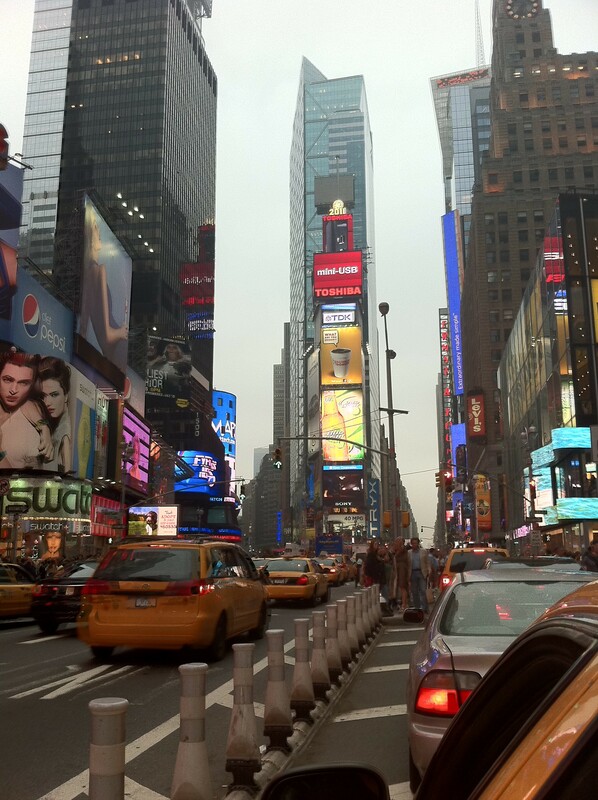 This is Times Square in New York City shot from a taxi. We were on our way to see a show. What did you do this weekend? This entry was posted in Life and tagged Acorns, Beauty, Blog, Entertainment, Events, Fun, Life, Lifestyle, Love, My Life, Photos, Summer. Bookmark the permalink. Very cool shot. I worked mostly. My highlight will be making peach preserves. But Katherine made some great burgers yesterday, really great. Vacation isn’t too far off! Saw you’re listening to Mumford, we just love them. Hi Rufus. You worked? We don’t even know what you do for a living….can you clue us in. Mumford rocks…can’t quit listening. I’m a groupie I guess. Come back and visit soon.